Nashoba Valley premier baby and family Photographer. Located between the town of Lancaster and Sterling, in Central Massachusetts gorgeous apple country. This is typically where I would tell you how much I would love to capture amazing images of you and your family, and how my love of photography started back as far as I can remember from my grandmother's own love of photography. And all of that is true!! But there is so much more to who I am and what I do! For me my camera is like a double shot of espresso, behind the lens is where I come to life. Telling your family's story, capturing the chapter of your life you are writing right now, and freezing tiny moments, the personality and emotion that are uniquely your child's. That is what I do. 1) I am the Mama Bear to 4 amazing little cubs who hold my heart. 2) I am the shortest person in my family, and I will likely photograph you from atop a step stool. 3) I am a firm believer that today is the oldest you have ever been and the youngest you will ever be, so Carpe Diem! 4) I am the wife of an AirForce vet, sister to an Army vet, and blue blood runs in our family. 5) I think Boxers are the greatest dogs to ever live, but I basically also want to adopt every animal I see...especially baby elephants! 7) I was born and raised in the midwest. 8) I LOVE food. Any food. All the food. & coffee! 9) I would always rather be outdoors. Yes, even in New England snow! 10) I love to garden and I am unbelievably bad at it! 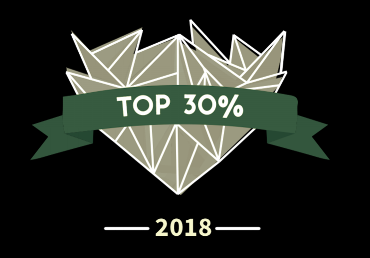 Top 30% contributor in the 2018 Shoot & Share Photography contest.